London South East, UK - Dame Tessa Jowell was a government minister who approved of the Salvo Code. She was a senior Labour politician, MP for Dulwich and West Norwood, and Minister for Culture, Media and Sport from 2001 to 2007. Ruby Hazael, a partner in Salvo Llp, lived in West Norwood and was a linchpin of the Salvo Fair from its inception in 1997 at Pew Corner in Surrey. In 2003 Ruby met Tessa who, as Minister of Culture, Media and Sport, was in charge of the built heritage and recommended that dealers should join the Salvo Code. Ms Jowell wrote, "The government encourages those not complying with industry- approved standards of good practice, such as the Salvo Code, to come on board." This is part of a long letter written to Salvo by Tessa Jowell (see below for the whole letter). represented throughout by the British Art Market Federation on the Minsterial Advisory Panel. The new criminal offence will cover the dishonest dealing in a cultural object knowing or believing that the object was illegally excavated or removed from a monument or wreck, either in this country or anywhere in the world. For these purposes, “dealing in” a tainted cultural object means acquiring, disposing of, importing or exporting such an object, or agreeing or arranging to do so. The bill is designed to combat traffic in unlawfully removed cultural objects and, indirectly, to assist in maintaining the integrity of monuments and wrecks worldwide by removing the commercial incentive to those involved in the looting of such sites. As such it is intended to go further than the protection of proprietary interests under the Theft Act 1968, and will cover objects, which although not stolen, have been illegally excavated or removed from a monument or wreck. The proposed offence should apply irrespective of the place where the cultural object was unlawfully excavated or removed. The bill makes it an offence for a person to deal in a cultural object if he knows or believes it to be tainted. In our view, the requirement for the prosecution to prove that the person was acting dishonestly when dealing in the cultural object provides an important safeguard. A second important safeguard is the requirement that in order to be guilty of the offence a person must know or believe the cultural object to be tainted. A person who, for example, produced evidence to show that before dealing he made reasonable enquiries, the result of which indicated the object was not tainted, will not have committed the offence even if after dealing had taken place it transpired that the cultural object was tainted. The unlawful removal of a cultural object is capable of constituting an offence under the bill. The trigger for the offence is split into two parts: removal from a building or structure of historical, architectural or archaeological interest under protection; and removal from a monument of historical, architectural or archaeological interest under protection. Turning now to the particular concerns of the architectural salvage trade: on the question of removing features from buildings or structures, subsection (4) (a) provides that an object will only become tainted if it has at any time formed part of the building or structure of historical, architectural or archaeological interest (e.g. under listed buildings protection). This means that the illegal detachment or amputation of structural, architectural or ornamental elements—fireplaces, mantelpieces, doors, door-hoods, floors, panelling, painted wall plaster, roofing and so on—will cause them to be tainted. The removal of objects which, although they may be contained in and even integral to the function of the building, will not trigger the offence. Examples of the type of objects that will not normally be covered are chairs, tables, mirrors and works of art hung in a building. The bill seeks to close the loophole whereby it is an offence to remove integral parts of a listed building or structure, whether they be statues hacked from the facade of a cathedral or fireplaces ripped out of a Georgian mansion, it is not a crime to sell them on, if the object is not stolen, even though the person is acting dishonestly. In short, the bill provides that in certain circumstances dealing in such objects may be an offence if the removal constituted a theft of the object; and it only applies where the person concerned is acting dishonestly when dealing in the object. In addition, we do not expect dealing in objects taken from a building in a conservation area to trigger an offence under this bill. Designation of an area as a conservation area is based on the fact that the area as a whole is of special interest architectural or historic interest. It does not necessarily imply that individual buildings within the area will be of sufficient historic or architectural merit to fall within the scope of the bill. In any event, the need to show that the alleged offender acted dishonestly provides protection to individuals in these circumstances. Finally, on the question of impact on your industry, the bill does not necessarily oblige dealers to take steps to ascertain provenance or to exercise due diligence to avoid committing the offence. Knowledge or belief and dishonesty must be proved by the procesution. Rather, the measure is designed to target irresponsible trading. It will inject greater transparency into the process of acquiring and disposing of cultural objects within the art market so that clear chains of ownership can be established in the event of suspected unlawful removal or excavation. In effect the bill does not impose further costs in terms of due diligence checks but, rather, formalises them and encourages those not complying with industry- approved standards of good practice (such as the Salvo code) to come on board. The measure is designed to protect small business from the illicit trade, which threatens their commercial position through unfair competition. An increase in costs to legitimate business, therefore, is agreed to be minimal. The British Art Market Federation has declared its full support for the bill and I hope your organisation will take a similar positive view. Although we were not happy about this bill, the trade did not seem that bothered. We canvassed opinion from 100 Salvo Code dealers who were contactable by email, and received three replies, none of which were negative. One person (not a dealer) contacted their MP, as we had suggested, who received a letter identical to the one printed here. We did not like the fact that the UK government department of culture had told people that Salvo supported the bill, when we did not. The main issue for the trade was that the DCMS said that the British Art Market Federation represented their interests when they did not. The DCMS regretted that Salvo had conveniently been kept unaware of the bill until it was in committee, but BAMF had known about if for years. We tried contacting BAMF with no response. Thank you very much for your letter of the 18th June 2003 about the Dealing in Cultural Objects (Offences) Bill. This has helped allay our fears although we still have reservations, but rather than merely be an irritant and achieve nothing (since we cannot stop or change this bill) we would instead like to offer our wholehearted support of the bill in principle. We are still unhappy about the way the DCMS told people we supported the bill without even consulting us, but that is water under the bridge. The government has progressively introduced measures restricting the salvaging and reuse of old materials, perhaps intentionally or perhaps unwittingly, and this is of concern to us. Would it be possible to meet you to explain some of the things that are currently going wrong, preferably at a salvage yard? I look forward to hearing from you and once again, thanks for taking the trouble to look into the bill for me. As a result of this letter, on 17th July, Tessa Jowell agreed to meet Ruby Kay. Ms Jowell said, 'I understand that you remain concerned about some measures restricting the salvaging and reuse of old materials and would like to meet to discuss these concerns and explain what you feel to be currently going wrong' and asked Ruby to phone her secretary for an appointment. 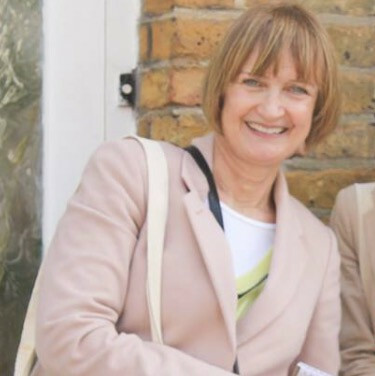 We should explain that Tessa Jowell coincidentally happened to be Ruby’s constituency MP, which is why the letters were sent by her, the head of department. Others received replies from Estelle Morris, the junior minister on state for the arts.